The chances that Gucci Mane&apos;s next reported project, Brick Factory Vol. 1, which is due out April 1, is just a big April Fool&apos;s joke seem slim now that Gucci has shared another cut from the tape. 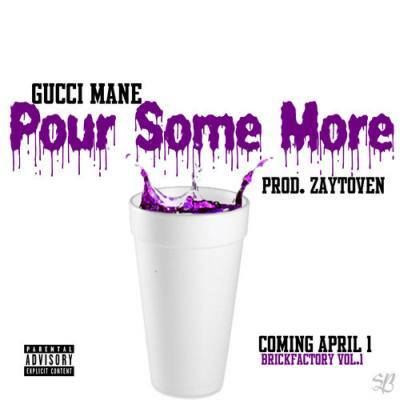 Produced by Zaytoven, "Pour Some Up" has all kinds of classic Gucci wit on it ("I&apos;m in a Lambo/Murcielago/But what&apos;s ironic to me is the fact I drive slow"; "I&apos;m just an OG in the hood just like your uncle"). It&apos;s great stuff, and it bodes well for Gucci&apos;s latest release from behind bars.